William Grove Salmon was the next owner of The Chantry in Castle Street, Thornbury. He bought the property in January 1856 from Thomas Osborne Wetmore for £2,450. William Grove Salmon was shown in the rate books as the owner of the property from at least 1859. The Chantry was left empty during much of the time it was owned by William Grove Salmon who lived in Silver Street until about 1887 when he retired from his practice as a GP. During this time he farmed at The Chantry, as is probably demonstrated by the fact that the sale of The Chantry after his death included 1,100 gallons of cider. He died 6th March 1903 in Thornbury aged 89. Probate was granted on 22nd June. The probate showed that his estate amounted to £9902 0s 5d and that his executors were Frederick Churchward of Devon and H P Thurston. His will left most of his estate to his niece Mary Ethel Salmon and after her death to any child or children of Mary Ethel Salmon who reached the age of 21 or in the absence of such a child to his godson Hugh Champneys Thurston. The Chantry at this time was primarily a farm and had land amounting to 15 acres and 14 perches attached to it. One can see the extent of the land held by the trustees of the estate of William Grove Salmon in the sale document below published when The Chantry was put up for sale in 1925. A sale of the furniture and other items from the Chantry was advertised on 13th and 14th July 1903. From this time until about 1925 The Chantry was owned by the trustees of William Grove Salmon’s estate and occupied by tenants. The beneficiary of the property, Mary Ethel Salmon, was married on 6th June 1907 to Arthur Rodway who was born in Kinkerswell in Devon. In 1911 Arthur was described as a retired accountant. They lived in Buckfastleigh in Devon and at that time they had a two year old daughter Mollie Edwards Rodway. Thomas Strange Biggs a surgeon who was a cousin of Arthur’s was living in the household. Alice Kaye. The rate books of 1905 shows that The Chantry continued to be owned by the executors of William Grove Salmon but that the house was occupied by someone called Kaye, whilst its land was farmed by Mrs Basil Mundy. The rate books for 1907 and 1910 show that Alice Kaye occupied the property. We know nothing further about Alice Kaye other than the fact that the Misses Kaye appeared in the Trade Directory for 1910 with the address of The Chantry. John Henry Wrenn. The 1911 census shows that the Chantry was tenanted by John Henry Wrenn a retired ore merchant aged 59 who was born in Merthyr Tydfil. He was living with his wife Annie Hayman Wrenn also aged 59 and from Devon. The couple had had three children of whom two survived, one of these 16 year old Violet Christine Wrenn was living with her parents. They had two servants. John Henry Wrenn was born about 1852 and he was the son of Henry Wrenn, the Governor of Cardiff Gaol, which is where he was living in the 1871 Census. He married Annie Treatt in the September quarter of 1876 in London. In 1891 he was an ore merchant and ship broker aged 39 and living in Mount Ephraim Road with his wife Ann (sic) and children Edith Cecil and Allan B aged 8. They had three servants. The London Gazette of 23rd September 1892 announced that the partnership of John Henry Wrenn and Henry Allan who were carrying on the business of shipbrokers and merchants known as Allan Wrenn and Co. at 31 Great St Helens in London was dissolved by mutual consent. The London Directories confirm that John Henry Wrenn and his family lived in Mount Ephraim Road in Streatham from at least 1890 to 1911. However at the time of the 1901 census Annie Wrenn was living in Mount Ephraim Road without her husband but with their three children; Burford Wrenn aged 18, Edith Wrenn aged 16 and Christine Wrenn aged six. We know that for at least the years 1913 and 1914 John Henry Wrenn lived in the Chantry with his family. They are also listed there in the 1915 and 1916 Prewett’s Directories. We are not sure when they left to live in Exmouth, although it was before 1921. We believe that they left behind one sad reminder of their time in The Chantry – a memorial to their Airedale dog Jack which said he was “gentle and brave”. The couple died in 1926 in Exmouth in Devon; John Henry on 29th September aged 74 and Anne Hayman Wrenn nee Treatt also 74 years old on 1st October. John Henry’s estate was valued at £20,885 3s 7d. Alfred Bennett. The Chantry was leased to a tenant Alfred Bennett from 25th March 1919 at £110 per annum. According to Kelly’s Directory of 1921 Alfred lived at the Chantry. The 1921 electoral register shows that Alfred Bennett’s wife, Mary was also living at The Chantry. The 1925 Valuation List shows us that Alfred Bennett was a tenant of the Trustees of the late William Grove Salmon. By the 1927 electoral register Alfred and Mary had moved to Sibland Farm. 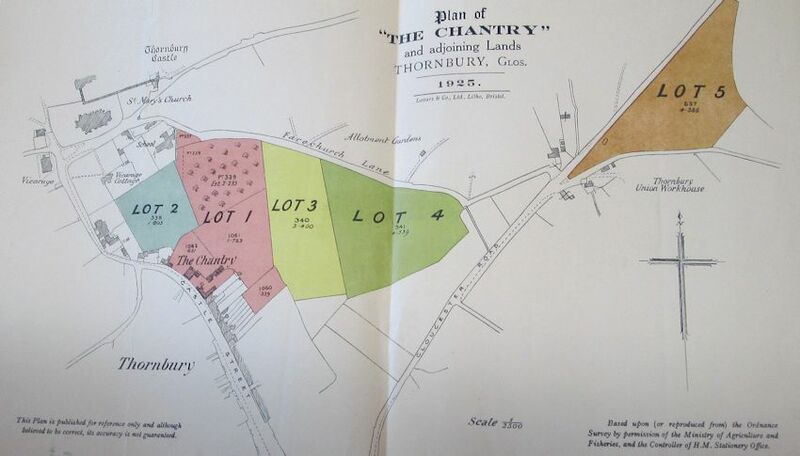 In 1925 on December 8th the Chantry and “building land” was advertised for auction on behalf of the estate of W. G. Salmon deceased. It was sold at auction held at the Exchange Hotel. Charles Johnston Bourne Webb. On 30th of December 1925 Mary Rodway then of Withipoll Street in Ipswich and her two trustees (Lawrence Thurston Thurston and David Wilson) sold for £2,200. The Chantry and land known as the Home Ground, the garden, the paddock and the orchard amounting to just over five acres. By an indenture of 15th January 1926 Charles Johnstone Bourne Webb then sold some of his land at The Chantry to Miss Annie Jane Bennett. This comprised of a paddock on Church Lane (part of Tithe Number 291 and the orchard (part of Tithe Number 290) and amounted to two acres, one rod and five perches of land in all. In 1926 the rate book confirms that the Rev C J B Webb owned and occupied the Chantry House and other buildings and the remaining land. The trade directories of this period describe Charles Webb as a curate. Charles was born in Bloemfontein in what was then the Orange Free State in South Africa. Wisden, the Cricketers’ Almanac says that he was born on November 24th 1874. By the census of 1891 Charles was a student boarding at Radley College in Dorset. We understand from the various cricketing websites that Charles played cricket for Radley from 1891 to 1893 and was the captain in his final year. Apparently he was a right arm slow bowler. Charles was a student of Keble College Oxford from 1896 to 1902. He was a tutor living in Branksome in Dorset in the 1901 census. We believe that Charles was both a clergyman and a schoolmaster by profession. From the cricketing websites we have also learned that Charles played for Middlesex in 1902, albeit only twice. In the September quarter of 1906 he married Jessie Maria Georgina Bennett in Christchurch in Hampshire. A family tree on the Ancestry website say that Jessie was the daughter of another clergyman, Alexander Sykes Bennett and his wife Jessie. Jessie was apparently born in Downton in Wiltshire about 1870 and the family lived in Hampshire. We understand that Jessie’s brother Richard A Bennett also played for Middlesex, which could be how she met Charles. The 1911 census shows that Jessie had been married to Charles for four years and had one child. She was living with her widowed father in Bournemouth at the time of the Census. Charles was aged 36 in the 1911 census and was described as an assistant master in a preparatory school. He was living in Haywards Heath in Sussex with his son Allan Charles Webb aged 3, three servants and a visitor Mrs Elizabeth Susan Webb who was aged 71 and a widow. Charles and Jessie’s son Allan was born in Wiltshire in the June quarter of 1907. The Webb family had another another child. Their daughter Renee Mary Webb was born in London in 1915. Before coming to Thornbury Charles was Rector of Nether with Over Compton from 1924-1926. They are listed as living at The Chantry in the 1927 electoral register. They sold the house on 1st September 1928, the year that Charles was appointed vicar of Kempsford. Jessie died at 10 Chelsea Embankment on 31st December 1943. Probate was granted to Barclays Bank and her effects were £4061 1s 10d. From at least 1945 to 1947 the electoral rolls continued to show that Charles was living in Chelsea. He died in St John’s Wood on November 18th 1963. 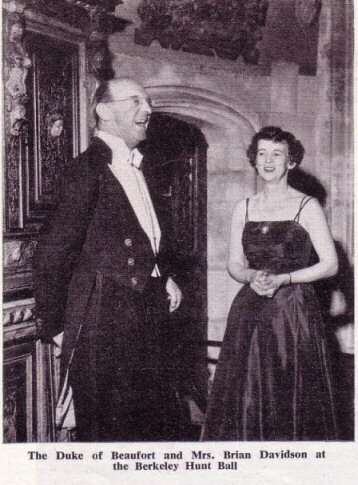 Of their children we know that in 1933 Allan Charles Bourne Webb (an opera singer and actor) married Stella Gibbons the author of works that include “Cold Comfort Farm.” In 1941 he was Gazetted in the Kings Royal Rifle Corps. Charles Paul Taylor lived in The Chantry from 1st September 1928, when the Webb family moved to Kempsford and Charles Taylor bought the Chantry and its property for £2000. He was born in 1881 in New Brighton, Cheshire, and he was the son of Charles Taylor and his wife Hannah. 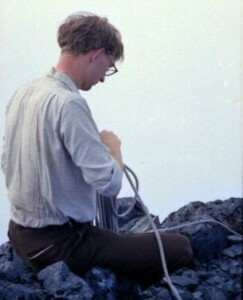 Charles was educated at New Brighton School and at Uppingham. In the census of 1891 his family lived at Birkdale in Lancashire. Charles’s father then aged 40 lived on his own means. The 1901 Census shows that Charles was aged 20 and a student, living in Ash Grange in Whitchurch Shropshire. Charles had a brother Cyril then aged 16. The household had a housekeeper and three servants, including a waitress. It is unusual to have a servant described as a waitress in a private home and we are uncertain what this implies. Charles attended Clare College Cambridge in July 1900 where he graduated in 1903. His wife, whom he married on 11th April 1908, was Frida Margaret Graves Law, the daughter of Thomas Graves Law, Librarian of the Signet Library in Edinburgh, and his wife Wilhelmina Frederica Allen. Frida was also the granddaughter of Hon. William Towry Law and the Hon Augusta Champagne Graves. Charles and Frida married on 11th April 1908. The 1911 census shows that Charles was 30 years old at the time of the census and that he worked as a solicitor in Northumberland. He had been married for about two years to Frida. They had two children; Charles Wilfrid Graves Taylor then aged two and born in Battersea and Francis Cyril Law Taylor aged two months and born in Newcastle upon Tyne. The household had two servants, a children’s nurse and a general servant. Charles moved to Thornbury where he worked for the well known firm of solicitors, Crossmans & Co. The notice board displayed in the reception room of their office at 12 The Plain shows that Charles was employed there from 1915 to 1952, although we know from other sources that he served as a corporal in the Royal Army Service Corps during the First World War. In the June quarter of 1915 the birth of their son Duncan H. H. Taylor was registered in Thornbury. The 1921 and 1927 electoral registers show Charles was living at Berkeley House in Stone whilst his office was at 12 The Plain. The 1931 and 1935 electoral registers show Charles and Frida were living at The Chantry in Castle Street. In 1931 Charles Wilfred Taylor, their son, was living with them. It is possible that Charles Paul Taylor and his family were considering leaving The Chantry for some time before they moved to The Hatch. The Gazette reported on 24th January 1931 that the property was being considered to see if it was suitable for use as a children’s home. It was inspected by a sub-committee from the Public Assistance Committee who deemed it suitable and commissioned the District Valuer to value the property and negotiate a sale. Oriel House was also considered. Neither property was bought for this purpose and one can only assume that the owners felt that the price offered was below the market rate. The Gazette of 1934 reported on the marriage of Charles Wilfrid Graves Taylor, the son of Mr and Mrs C. P. Taylor and Miss Judith Howard Mavesyn Whitcombe the daughter of Mr and Mrs H A Whitcombe of The Elms in Thornbury. The bride’s sister Elizabeth was her only bridesmaid. The best man was J.N.G. Davidson. By 1938 Charles and Frida had moved to The Hatch, further down Castle Street and they were listed as living here in the 1946 and 1950 electoral registers. In 1940 the Lord Chancellor appointed Charles Paul Taylor registrar of Thornbury County Court. Also in 1940, on 14th February, the partnership of Charles Paul Taylor and John Gammon Wicks practising as Crossman and Co was dissolved and Charles continued to practise alone as Crossman and Co. In 1941 their son Charles Wilfrid Graves Taylor was Gazetted. Their son, Francis, was a Lieutenant in the Royal Artillery when he was killed on 26th May 1944. At the time he was attached to 6 (Jacob’s) Bty., 21 Lt. Mountain Regt., Royal Indian Artillery. He was buried at Imphal war Cemetery, India. We have a photograph of Frank Taylor on the right. The photograph appeared in the Gazette with an article to the effect that he had joined up in 1941 and served for two years in the Middle East. It also mentioned that Frank had been a member of Thornbury Junior Football Club. Trade Directories show Charles as a solicitor, Commissioner for Oaths, Deputy Registrar for Thornbury Union, Clerk to the Magistrates and Clerk to the Governors of Thornbury Grammar School. Charles Paul Taylor died at The Hatch on 9th August 1952. Probate was granted to his widow Frida and Charles Wilfrid Graves a solicitor. His effects amounted to £29,766 17s 1d. His wife, Frida, died in 1953. Eileen Mary Whitcroft. On 9th October 1936 Eileen bought the Chantry from Charles Paul Taylor for two thousand two hundred and fifty pounds. She was the wife of Arthur Mervyn Derrick Whitcroft who was born in Westbury on Trym in Bristol on 10th March 1908. Arthur attended Rossall School in Fleetwood in Lancashire according to the Cricket Archive website. He was the son of Charles Edward Whitcroft and his wife Mary Augusta Ives. 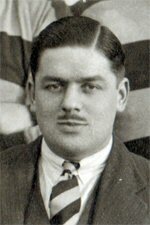 Arthur played rugby for Clifton Rugby Club and was captain of the club team 1929-1930 season. He is shown here on the left. According to Clifton Rugby Club, Arthur was a personnel manager at Imperial Tobacco in Bristol. He married Eileen Nichols in Birmingham in 1932. Their daughter Shirley was born in 1935 when the family lived in the Keynsham area. 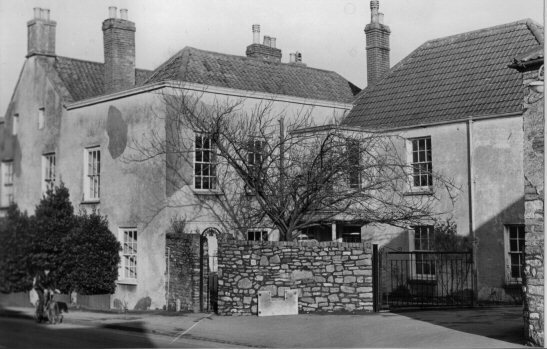 Eileen and her husband lived at Moorcroft, Grange Road in Keynsham. The Electoral Role of 1938 shows that their address was then The Chantry. During World War II Arthur was a Sub-Lieutenant in the Royal Naval Volunteer Reserve. The register that was compiled in 1939 in the advent of war shows that living in the same property at this time were Douglas and Eulalia Brearley. Douglas was born on 26th February 1911 and he was described in the register as the manager of a tannery. Douglas married Eulalia Whitfield in Bristol in 1938. We do not know how long Douglas and Eulalia lived in the Chantry but when Douglas sailed to Nova Scotia in 1945 his last address in England was said to be Tockington. When Eileen sold The Chantry to Brian Davidson on 20th March 1945 their address was given as Severn Lodge The Avenue Sneyd Park in Bristol. Arthur died in Chippenham in 1977. Christopher Frederick Birks was a tenant in The Chantry according to a lease signed by him on 1st June 1940. He rented the property from Eileen Mary W hitcroft. We believe that Christopher Frederick Birks was born on 16th May 1910 in Elloughton with Brough in Yorkshire. He was the son of Frederick Arthur Birks and his wife Emily. During World War II he was a Flight Lieutenant in the RAF and before he moved to The Chantry he lived in Almondsbury. He died in 1983. Brian and Priscilla Davidson. We know from the 1946 electoral register that Priscilla and Brian Davidson lived in the Chantry at that time. They appear to have been living in the property before then as the Times of October 8th 1944 announced the birth at St Brenda’s Nursing home in Clifton in Bristol of a son Rollo to Priscilla and Brian Davidson of The Chantry in Thornbury. We believe that Priscilla and Brian Davidson rented The Chantry from August 1944, taking over the lease from Flight Lieutenant Birks. However they bought the house on 20th March 1945 from Eileen Mary Whitcroft then of Severn Lodge, The Avenue in Sneyd Park, Bristol from whom they had rented the property. The house and over two acres of land land were sold for five thousand pounds. Brian Davidson was the son of a Chief Inspector of Schools in Bristol and he attended school in that city. He was a student of Winchester and of New College Oxford where he studied the classics. The Times announced his prizes for Latin verse and translation of Greek verse in 1930. He was president of the Oxford Union in 1932. He was called to the Bar in 1933 and became a partner in the firm of Allen and Overy solicitors in the City of London. He married Priscilla Chilver at All Soul’s Church in Langham Place Marylebone on September 26th 1935. Priscilla Chilver was the author of a story for children called “Bluetta and the Wonderful Cake.” It was read on the BBC Home Service in 1934. We have a photograph on the right of Mrs Davidson with the Duke of Beaufort. During World War II he served with the Air Ministry and Ministry of Aircraft Production. David and Priscilla had three children born in Thornbury; Rollo in 1944, Christian in 1948 and Nicholas in 1951. Brian Davidson stood as the Conservative Candidate in the General Election of 1950. In 1955 he was appointed by the Monopolies Commission to a committee investigating into the effects on the public of common business practices. The family continued to live in The Chantry until 1961. They seem to have continued to live in the area as in 1968 Brian Davidson was described as business director of BAC. We have been told that after leaving the Chantry they may have retained an apartment at Hill Court, although their main home was elsewhere. When their son Nicholas announced his engagement to Gillian Watts in 1978 the Davidsons were said to live at Sands Court Doddington. Desmond Edward Bowns a lecturer at Bristol College of Science and Technology (later Bath University) and living at Kington House bought The Chantry on 25th January 1961. The Electoral Roll of 1965 shows Desmond and his wife Ethel Shirley Bowns were living at The Chantry. On 15th August 1963 Desmond sold the remaining plot of land attached to The Chantry to Tom Morris Construction Ltd together with a lane giving access to the land from Church Road (formerly Forechurch Road). The land was to be used for the purpose of building not more than eleven houses. The land, called the Home Ground is shown in the thumbnail image on the right as number1061 (tithe number289) and the lane leading to it ( part tithe number 290) is also shown in pink. On 12th May 1966, The Chantry was purchased by the Thornbury and District Community Association from Desmond Bowns (then of Raby Place in Bath) as the community centre for Thornbury. The house is now the Association’s home, maintained and improved through the efforts of its members and volunteers. Click here to go to the website of the Thornbury and District Community Association., It is a registered charity, began in 1964 using various premises in the High Street, the Cossham Hall, school halls and many of the committee members’ homes for meeting places. Thornbury was then rapidly expanding and had only a few facilities for social and recreational use.